Well I’ve got 14 of them for you! Fourteen awesome authors have banded together to give you a chance to download 14 FREE paranormal and urban fantasy novels. Get a taste of myths and legends from all over the world, and if you enjoy them, pick up the rest of the series! So what’s in the box set? Fourteen FREE fantasy novels. 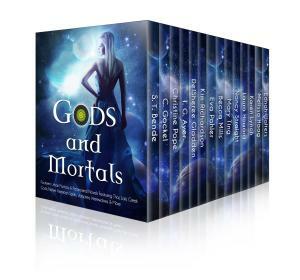 Tag along with modern humans as they face off against heroes, Norse and Greek gods, and monsters of old … over one million words of divinely (and diabolically) inspired fantasy, adventure, and romance. Join the freshest voices in paranormal romance and urban fantasy, New York Times, USA Today, and Amazon bestselling authors, on unique journeys to heaven, hell, and worlds beyond. 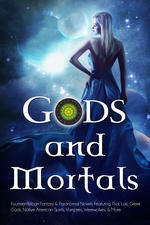 Get this heavenly FREE fantasy collection … before it’s too late! When the Devil tires of ruling Hell, his only hope for salvation is to capture the heart of one ordinary young woman. The world is on the verge of a Judgement that will change everything, and Gabby, a uniquely gifted human, is the first key. My new neighbor, Torin St. James, is the key to my father’s disappearance, my mother’s past and the secret they’ve been keeping from me–my destiny. GRAB YOUR FREE COPY TODAY ON YOUR FAVORITE PLATFORM!